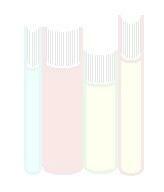 $15.00 + $2.75 P&H add an additional $.50 per additional book. Cover photo “Black Swallowtail on Bull Thistle” by Billy R. Buchanan Nature & Scenic Photography, taken in Cades Cove in The Great Smoky Mountain National Park. About the book Any work that has nature or spring/summer as its theme. ring the pond’s far end. from the water like stalagmites. host a choir of bullfrogs and katydids. A small field road hugs its western side. In the distance, a gator slaps its tail. as the moon shines a face of stunning gold. TOM DAVIS’ publishing credits include Poets Forum, The Carolina Runner, Triathlon Today, Georgia Athlete, The Fayetteville Observers Saturday Extra, A Loving Voice Vol. I and II, and Special Warfare. He’s authored a collection of short stories, The Life and Times of Rip Jackson; a children’s coloring book, Pickaberry Pig; His memoir, The Most Fun I Ever Had With My Clothes On: A March From Private to Colonel. and an action adventure novel, The R-complex. He lives in Webster, NC. BROUGHT TO THE world on mountain crag or lofty top of trees, the eagle knows no carefree days; no time that’s danger free. But time and fate will do their task and the eagle, one day grown, does as eagles always do, confronts the great unknown. Though knowing fear of plunging fall and shattered broken bone, with trembling heart it tears free of earth and rides on air alone. Raising free with morning mist it soars above the land; with wings spread wide to catch the air, an eagle in the wind. Time goes by as it lives and learns, mastering its realm; with eyes fixed wide on distant skies, it rides the thermal lift. Soaring high above the earth, alone among the clouds it knows well the joy of life lived free and bold, and proud. But strength and youth cannot last, its enemy is time. The bravest heart longs for a mate and seeks others of its kind. Though free to make a different choice they bind themselves as one, soaring free in wind-torn skies, two eagles in the wind. The joy of life must be passed on and fierce hearts know this truth, one or two is not enough, life must be renewed. Together they returned earth, on lofty mountaintop, and bring their young into the world so life will never stop. They protect and feed and shelter it, never straying far away, and it grows stronger hour by hour not knowing that someday, it too must face the world alone and bravely face its fear. With trembling heart, tearing free of earth; an eagle in the wind. JOSEPH YOUNGBLOOD lives in Fayetteville, NC where he writes for pleasure about things that inspire him. His work has appeared in many previous anthologies. Frederick W. Bassett is a retired academic who turned to creative writing late in life. His poems have appeared widely in anthologies and journals, including Negative Capability, Mudfish, Slant, Yemassee, Illuminations, Poem, Pembroke Magazine, Passager, The Cape Rock, Timberline Review, and zone 3. His latest books of poems is The Old Stoic Faces the Mirror. He also has two novels, South Wind Rising and Honey from a Lion. Elaine Bauman has published in Old Mountain Press, in a local chapbook, Gargoyles in Levis and in New Chicago Voices. She relishes hanging out with poets, critiquing and learning from others’ critiques and looks forward to her first Wildacres summer. She lives in Durham, NC, and her heart shares its love with Oak Park, Il. 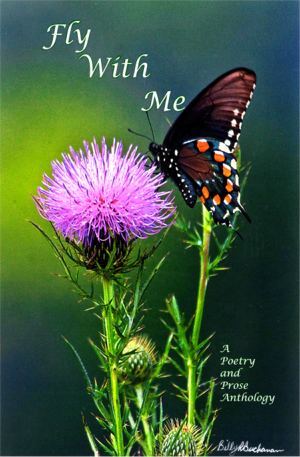 Joann Bishop recently combined some poems into a book for her Aunt Tina who fell in love with it and expressed that some of Joann’s poems reflected her thoughts over the years and she thought some of them were cute. To this day Joann’s aunt has one of her poems called "The Clipper Ship" next or her deceased husband’s picture by a picture of a clipper ship he made by hand without patterns. Joann continues to combine her poems together for family and friends. She is working on a family group of poems based upon personal family pictures over the years. Polly Brody’s publishing credits include The Spoon River Poetry Review, Potomac Review, The Midwest Quarterly, Zone 3, Connecticut River Review, Connecticut Muse. She’s been nominated for a Pushcart Prize, and has twice received the Winchell Award from the CT Poetry Society. Her published collections: Other Nations, The Burning Bush, At the Flower’s Lip, Stirring Shadows, Lore. Polly has placed first, second and third in national poetry competitions. She lives in Southbury, CT.
Tom Davis’s publishing credits include Poets Forum, The Carolina Runner, Triathlon Today, Georgia Athlete, The Fayetteville Observer’s Saturday Extra, A Loving Voice Vol. I and II, Special Warfare., and Winston-Salem Writers’ POETRY IN PLAIN SIGHT program for May 2013 (poetry month). He’s authored the following books: The Life and Times of Rip Jackson; A children’s coloring book, Pickaberry Pig’s First Day of School, The Patrol Order; and an action adventure novel, The R-complex. Tom has recently completed his memoir. He lives in Webster, NC. Nancy Dillingham is a sixth-generation Dillingham from Big Ivy in WNC. She is the author of twelve books of poetry and short fiction and, with Celia Miles, four anthologies of WNC women writers. He 2010 collection HOME was nominated for a SIBA. She lives in Asheville. Peter Dome is a poet and writer from Sheffield/Nottingham England. Inspired by Love for nature, life, and romance. He love to write it is his life, and he always write from the heart. I have several books of his own, and been in many anthologies through the years. He hopes you will enjoy his work. Dena Ferrari is a regular contributor to OMP, Dena’s poetry are featured in Westchester Community College of NY Phoenix (1975);. Writers Alliance Poets World-Wide anthologies has dozens of her published works. Dena’s own books, Poems From the Hearth (2010) ;Come Closer My Dearies (2013) and her newest book Charmed Times Three (2015), shows diversified writing styles, leaving a Living Legacy for her grandchildren. She and her husband, Peter live in Vass, NC. Durwood Folkes is a professional fisherman who makes his living with his catch. He mainly goes after flounder and grey trout, but sometimes just sells what he finds at local fish markets. He has done quite well for what seems to be a subsistence living, and he has a truck, a trailer, and an amazingly free life. No women on a regular basis, no children, no politics, no taxes. He wouldn't change a thing and hopes to die of a quick heart failure while baiting his hook. Christian George attends Appalachian University and is studying to be a high school English teacher, and he is also minoring in Sociology. He has been published in Old Mountain Press four times and has also been published in the American Library of Poetry. His main goal is to continue writing while inspiring others in the classroom. James Gibson, Northville, Michigan, featured Native American culture in the five novels in his "Anasazi Quest" series. His new novel, Searching with Pei for the Meaning of Life was published in August, 2016. Review all his books at www.PentacleSPresS.com. Two of his "Anasazi Quest" novels, Anasazi Princess and Anasazi Journey are now available as E-Books on Amazon.com. included in publications throughout the United States and Canada. Kerri has a manuscript of essays she is seeking to publish and a completed novella. MaXine Carey Harker and husband Berkley, have lived 60+ years in the little one-stop-light town of Grifton, NC, reared 5 children who have produced grandchildren and great grandchildren in far-flung places. Published in national, state, and local publications, she prefers non-fiction, sonnets, and haiku. She’s taught Writing for Publication for 35+ years at 2 Community Colleges, now Rec Center in New Bern. MaXine is 89. Joseph Haymore is a retired US Army NCO. He lives and writes in the Fayetteville, NC area. He writes both poetry and prose and numbers among his friends many of the best of North Carolina's poets and writers. His tours in Vietnam left lasting memories some humorous and some less pleasant. K. D. Kennedy Jr. has published four (4) books of poetry, short stories, and essays: Our Place In Time, Waiting Out In The Yard, For Rhyme Of Reason, and Progenitors: A Kennedy Genealogy. He has also published works in over twenty anthologies and periodicals. He has served as Chairman of the following: The Board of Trustees of Barton College, the North Carolina Board of Ethics, the North Carolina Theater, and the Building Committee of the Duke Power Performing Arts Center. Jo Koster spends too much time on administrivia and not enough time writing, but that happens to a college professor. Her next chapbook will be finished in 2017 or heads will roll. While she and her two cats, Max and Neville, live full-time in Rock Hill, SC, her grandbeagle Oliver is currently residing in Iowa. Susanna Lang’s most recent collection of poems, Travel Notes from the River Styx, has recently been published by Terrapin Books. Her last collection was Tracing the Lines (Brick Road Poetry Press, 2013). A two-time Hambidge fellow, she has published original poems and translations from the French in such journals as Little Star, New Letters, December, Blue Lyra Review, Prime Number Magazine and Poetry East. She lives in Chicago, and teaches in the Chicago Public Schools. Blanche L. Ledford lives and writes in Hayesville, NC. Her work has appeared in many journals and Old Mountain Press anthologies. She enjoys gardening and quilting. She looks forward to the total solar eclipse coming to the Blue Ridge Mountains this August, 2017. Brenda Kay Ledford resides in Hayesville, NC and writes about her Southern Appalachian heritage. Her work has appeared in many journals and over 30 Old Mountain Press anthologies. She blogs at: http://blueridgepoet.blogspot.com. Beverly Ohler’s life has been focused on the theater, teaching, designing, producing festivals, creating art in one form or another. Growing up in the Northeast, her adult life has primarily been spent on the campus of Warren Wilson College, Asheville, NC, where she is a member of the Theater Department. She has written four books, is published in magazines and anthologies, and lives in Black Mountain, NC. Karen O’Leary is a writer and editor from West Fargo, ND. She has published poetry, short stories, and articles in a variety of venues including, Frogpond, A Hundred Gourds, Haiku Pix, bear creek haiku, Now This: Contemporary Poems of Beginnings, Renewals and Firsts, Creative Inspirations and cattails. She edited an online journal called Whispers from 2013-2017. She enjoys sharing the gift of words. Martha O’Quinn is a regular contributor to OMP anthologies. She writes poetry and creative non-fiction centered around her life, family folklore and a true southern heritage. Her work has also appeared in four WNC women anthologies edited by Celia Miles and Nancy Dillingham; Longest Hours: thoughts while waiting, published by Silver Boomer Books, Abilene, TX; plus a number of regional publications. Martha and her husband are great-grandparents to Penny and Josie and live in Hendersonville, NC. journals. He lives with his wife, Karen, and their four cats in Coats, NC. Mary Ricketson, inspired by nature, is published in Wild Goose Poetry, Future Cycle Press, Journal of Kentucky Studies, Lights in the Mountains, Echoes Across the Blue Ridge, her books, I Hear the River Call My Name, and Hanging Dog Creek, and a monthly column in The Cherokee Scout. She won first place in 2011 Joyce Kilmer Memorial Forest 75th anniversary national poetry contest. She is a mental health Counselor and blueberry farmer. Dwight Roth grew up in Southwestern Pennsylvania. He taught elementary school in Eastern North Carolina before retiring after 29 years. Now he lives with his wife Ruth near Monroe, NC, and spends his time painting and writing. He has self-published several books that are found on Amazon Kindle. He is also published in past OMP Anthologies. A book of poems called Ebb and Flow and a children’s book on Alzheimer’s are his latest creations. Dr. Lynn Veach Sadler, a native North Carolinian, lives in Burlington, NC. A former college president, she has published 5+ academic books and 72 articles, edited 22 books/proceedings and 3 national journals, and writes 2 newspaper columns. Her creative writing publications are 11 poetry chapbooks and 4 full-length collections, 125+ short stories, 4 novels, a novella, 3 fiction collections, and a nonfiction collection; she has written 41 plays. She was a Gilbert-Chappell Distinguished Poet 2013-2015. Marian Kaplun Shapiro, of Lexington, MA, is the author of a professional book, Second Childhood (Norton, 1988), a poetry book, Players In The Dream, Dreamers In The Play (Plain View Press, 2007) and two chapbooks: Your Third Wish, (Finishing Line, 2007); and The End Of The World, Announced On Wednesday (Pudding House, 2007). A psychologist, she was five times Senior Poet Laureate of Massachusetts, and was nominated for the Pushcart Prize in 2012. Sybil Austin Skakle’s publishing credits:Searchings, poetry, 2001; Confessions of an Outer Banks Filly,stories about growing up on Hatteras Island;Valley of the Shadow, a memoir about loss, 2009; What Came Next, memoir between 1982-1992,2014.She compiled, edited and was a contributor to The History of Amity United Methodist Church,published by Righter Publishing Company, 2017. After she retired from hospital pharmacist position, her work appeared in various periodicals, and in poetry and prose anthologies. Sybil currently resides in Chapel Hill, NC. Tonya Staufer: When Tonya moved to the mountains, she found fresh writing ideas waiting. Her prose often conveys powerful messages, which invites exploration by her readers. She’s enthusiastic about crafting beguiling characters, dashes of snappy humor, and engaging dialogue. Both her fiction and non-fiction stories have appeared in e-magazines, local press, numerous anthologies, and and literary magazines. Barbara Tate is an award winning artist and writer. A member of the Haiku Society of America and the Gulf Coast Writers Assoc., her work has been published in Storyteller Magazine, Santa Fe Literary Review, Modern Haiku, The Heron’s Nest, Frogpond, Cattails, Bear Creek Haiku, Contemporary Haibun Online and both Clark Street Review and Backstreet Review among others. Originally from Akron, Ohio she currently resides in Winchester, TN. Rebekah Timms resides in Greenwood, SC about fifteen miles from where she was born. She has contributed to two previous OMP anthologies. She has published a memoir entitled Effie, Her Life, Her Love, Her Legacy and plans to publish a collection of her poems. Elizabeth B. Watson - a.k.a. Betty - lives with Doug in Greenville, SC, where she takes advantage of Olli classes, music performances and sports at Furman Univ. and up-and-coming Greenville. She’s pleased to be published in many Old Mountain Press anthologies, Moonshine Review, Western NC Women and other single collections of short stories. She and Doug are the proud parents of four accomplished daughters. They also boast about four sons-in-law and six fabulous grandkids. Evelyne Weeks is a writer of both poetry and prose. Her work has been published in The Hollins Critic, Appalachian Heritage, and Out of the Rough: Women’s Poems of Survival and Celebration. Today she lives in Rock Hill, South Carolina, where she has taught English at Winthrop University since 1989. Glenda S. Wilkins grew up on a North Carolina tobacco farm, and believed she’d never live beyond the county line. Decades later, she moved with her husband to Europe for a dozen years. Her poems have been published in Europe, Great Britain, & North America. Thus far, she appreciates several poetry awards. She lives on an air strip, Winterville, NC. Barbara Ledford Wright’s work has appeared in several Old Mountain Press anthologies. She has been published in many other anthologies and journals. Since retiring from teaching she researches the family history, and records her ancestors stories. Barbara presently lives in Shelby, NC, but calls Hayesville her home.